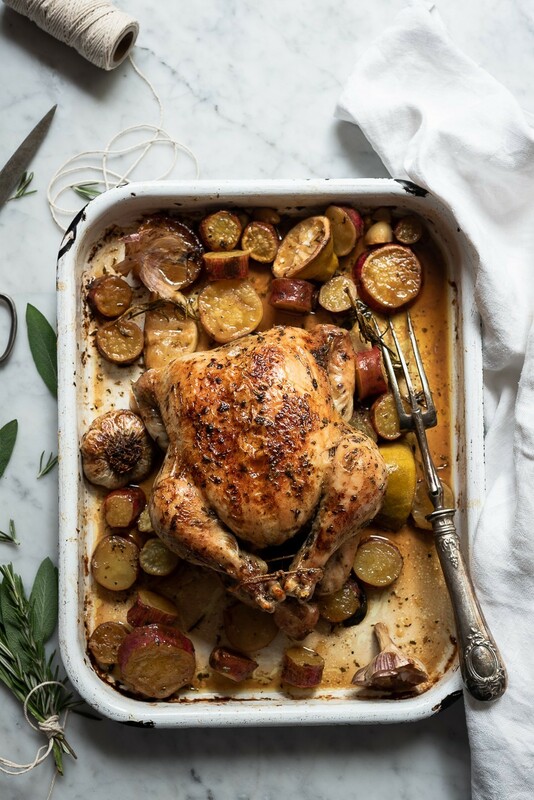 Roast chicken is one of the best things you can cook. 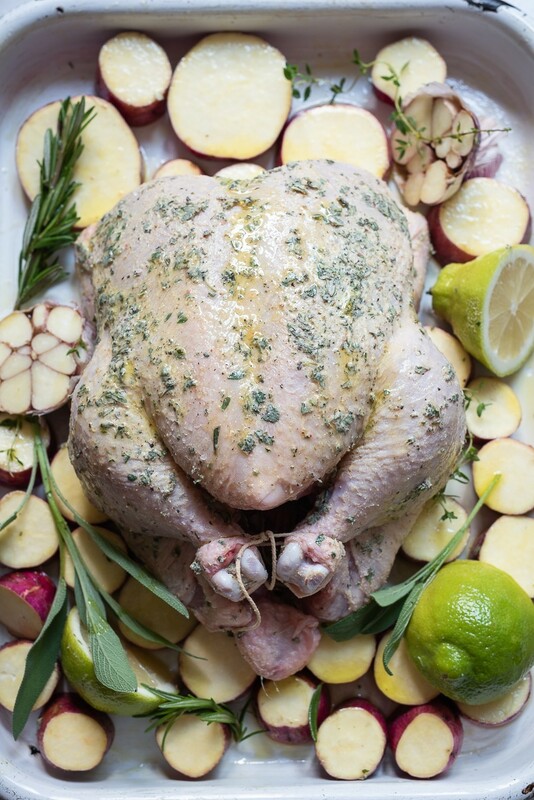 Coated in a lemon and herb sauce, this buttered roast chicken cannot help but be, fabulous! 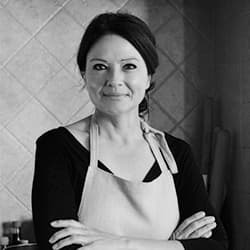 It speaks of wholesome comfort and simple cooking, the kind of food our mother’s cooked when they wanted to soothe or spoil. When nostalgia tugs, this is where we head. 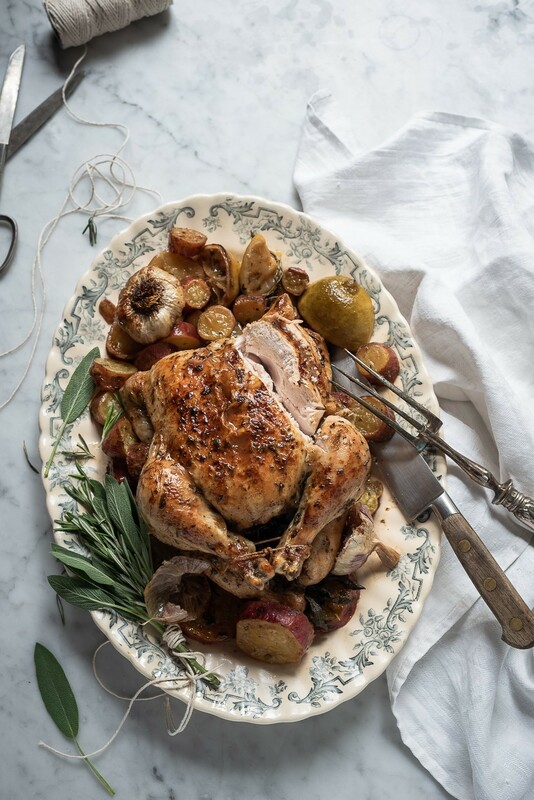 Growing up, roast chicken was reserved for Sunday lunch or special occasions. Seldom was it stuffed. Mostly, it was simple food prepared with love – a big juicy bird with casual potatoes to soak up the savoury juices. Back then, gravy was requisite and always served in a gravy boat. It made us feel posh and very important. My mother was also in charge of carving. Painstakingly, she’d portion out an equal share of brown and white meat. Invariably, there’d be a scuffle for the wishbone, all of us hopeful that if you snagged the nubbly part, the week ahead would be paved with good fortune. Many years later, roast chicken has lost none of it’s appeal. Of all the dishes I cook, chicken is always at the top of the list. It remains one of the easiest meats to prepare and cook. There’s little chance of over cooking it if you follow the – juices run clear – theory. Here, I’ve made a herb butter to flavour and baste the chicken. To the tray, I add as many sweet potatoes possible, a whole lemon and plenty garlic. 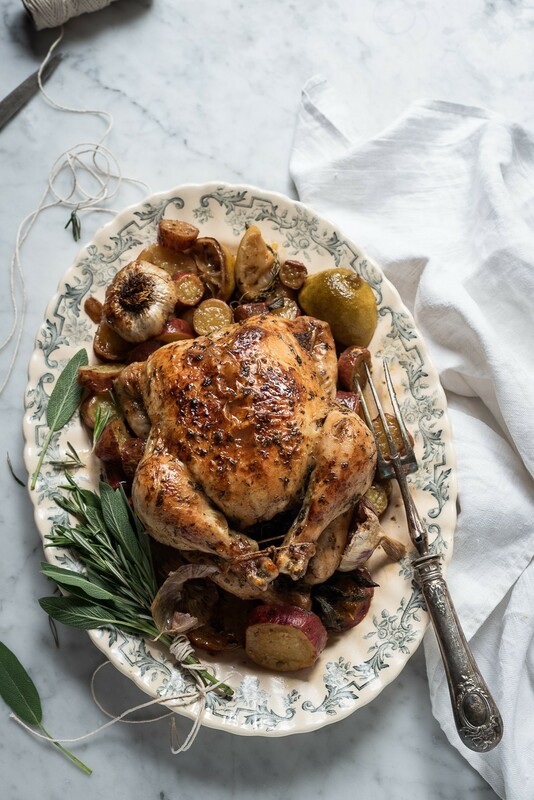 The heat elicits all the woody aromas of rosemary and sage, mingled with the buttery chicken juices. I think the wishbone might be sidelined for the last sweet potato. 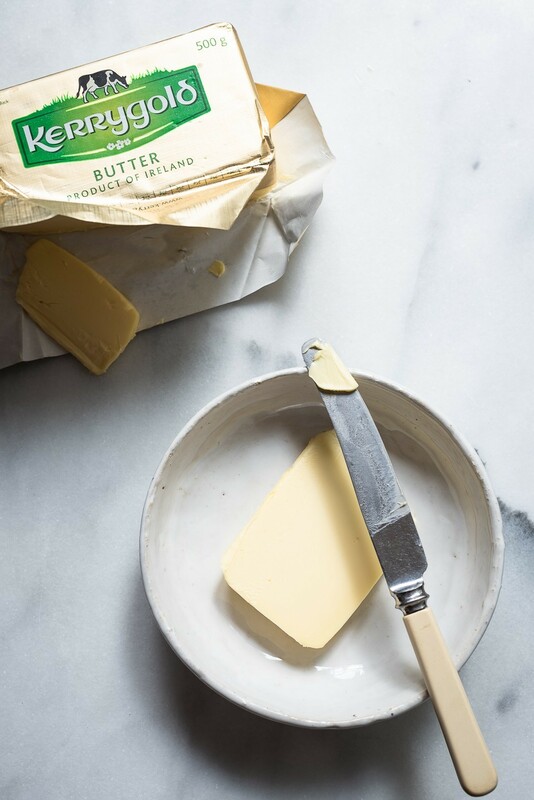 For this recipe, I’ve partnered with Kerrygold, using their superb butter. The texture is silk-smooth, rich and creamy. These premium butters are imported from Ireland. The Irish must be smiling. Potatoes and the best butter! 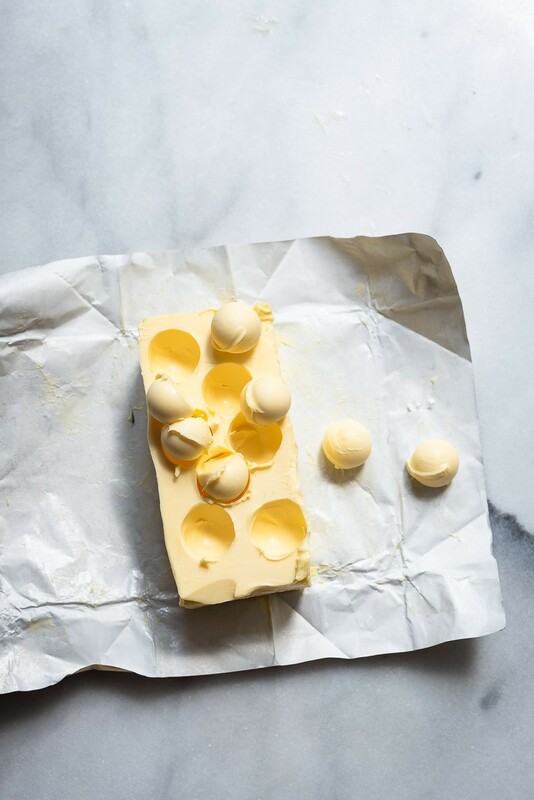 To add honest flavour and natural richness to both savoury and sweet dishes there’s no equal to the taste of, butter. And because taste is everything, butter is best. Arrange the sweet potatoes and garlic on a greased roasting tray. Drizzle with 1 tablespoon olive oil and season with salt and black pepper. Toss to coat. In a small bowl, combine the Kerrygold butter, chopped rosemary, sage and picked thyme leaves. Spread the herbed butter over the entire chicken, then season well with salt and a good grinding of black pepper. Place half a lemon in the chicken cavity and tie with kitchen string. Place the chicken, breast side down, in the roasting tin. Add the lemon wedges and the whole stems of rosemary and thyme. Roast for 30 minutes. Turn the chicken over and roast for a further 50-55 minutes or until the juices run clear. Baste several times during the cooking time. To ensure the skin is crispy, place under the grill for several minutes. This post was proudly sponsored by Kerrygold. Content and opinions, remain, as always, my own. 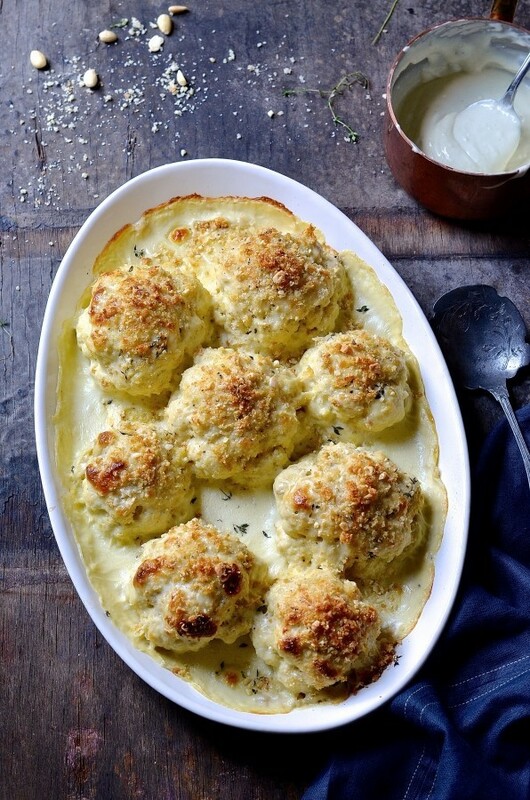 If you’re making the roast for Sunday lunch, this cauliflower bake is a lovely addition.